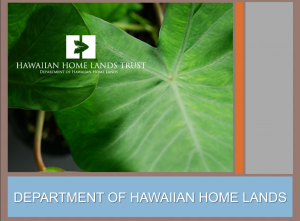 The Hawaiian Homes Commission and the Department of Hawaiian Home Lands would like to thank and acknowledge our valued partners. The partnership between the Department of Hawaiian Home Lands and the Office of Hawaiian Affairs has resulted in an annual OHA grant of $3 million helping to fund $38.3 million in DHHL construction projects to help return native Hawaiians to their ancestral lands. A’ohe hana nui ka alu’ia. — No task is too big when done together. 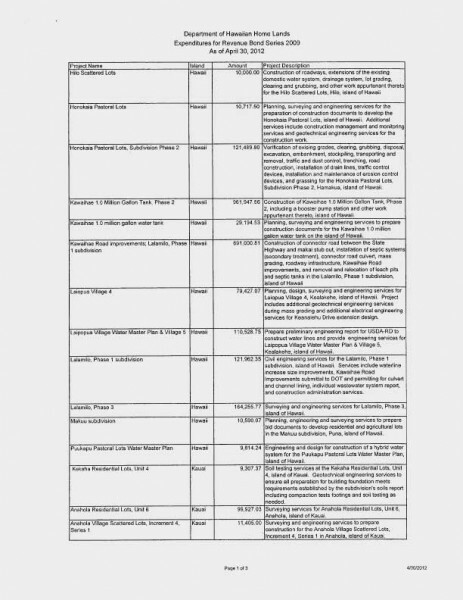 Click the image to download a PDF of the Revenue Bond Projects document dated April 30, 2012. Click to download a PDF of the 2011 Leeward Housing Summit Powerpoint presentation.